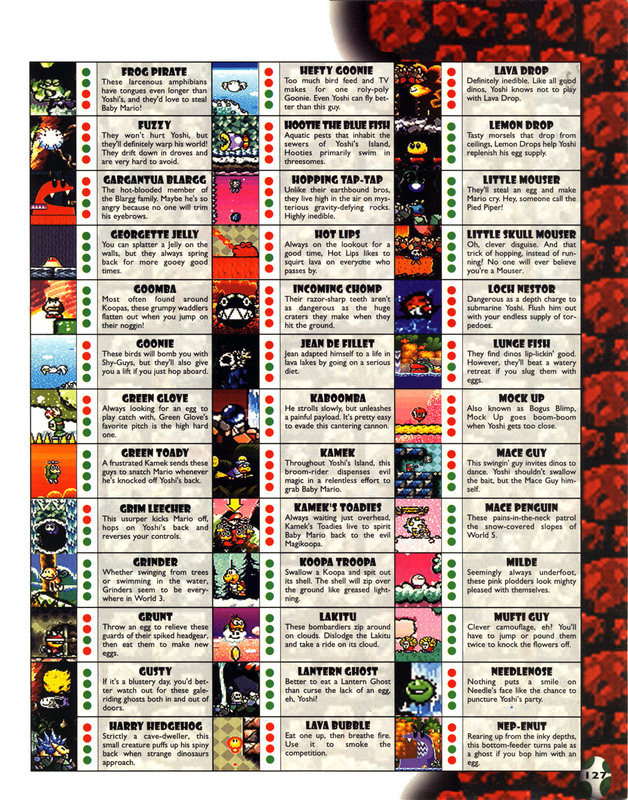 Hefty Goonies are Goonies that appear in Super Mario World 2: Yoshi's Island and its remake Yoshi's Island: Super Mario Advance 3. Due to their large weight, however, Hefty Goonies can barely fly and instead of flying, they bounce. Either hitting it with an egg or slurping one and spitting it out will turn it into a Bowling Goonie. Despite Hefty Goonies not appearing in Yoshi's Island DS, Moltz the Very Goonie acts as the boss of World 5-4. He is the only Hefty Goonie in the game. A Hefty Goonie appears on Lakitu's stage in Tetris Attack. 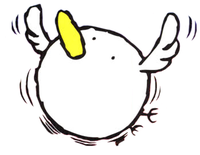 German XL-Birdie "XL-" is a prefix referring to "extra large" things; "Birdie" is the German name of the Goonies. 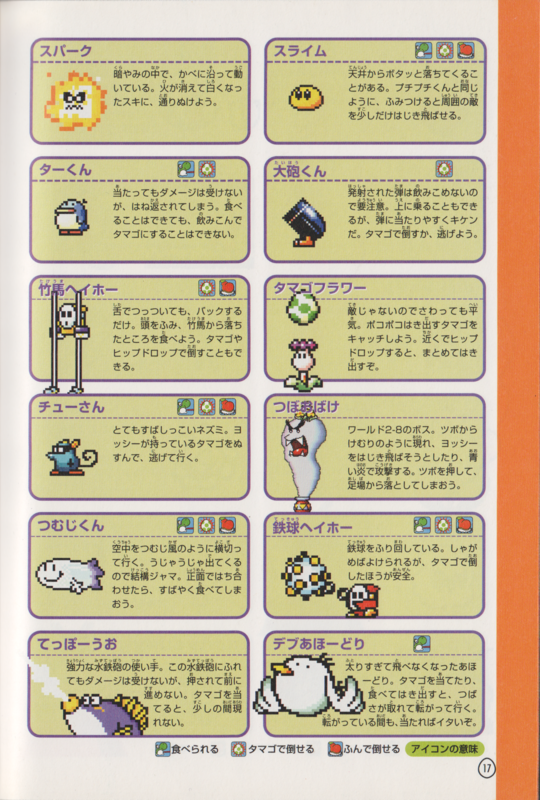 ↑ 「スーパーマリオアドバンス3任天堂公式ガイドブック」 (Super Mario Advance 3 Nintendo Kōshiki Guidebook), page 17. This page was last edited on October 24, 2018, at 12:07.